This refreshing and delicious endocrine-enhancing smoothie is bursting with beneficial nutrients that will get your day started and keep you going until lunch! *Maca is a root plant that is native to Peru and well known for its powerful, hormone-balancing properties. Although maca does not affect the hormones directly, it has hormone-balancing effects by providing nutrients to the body, which are used by the endocrine system. It’s qualities help alleviate a range of stressors including fatigue, anxiety, stress, depression, and sleep issues. Some of it’s other benefits include regulating mood swings, increasing libido, energy enhancement, improved fertility and enhanced mental clarity and focus. 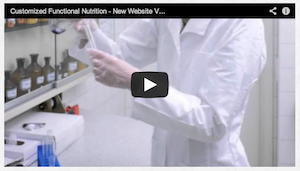 Saturated Fats (red meat, full-fat dairy products) – You can eat lean, grass-fed meat 1 to 2x/week. With all the parties, food and alcohol, it can be hard to keep your waistline in check without feeling like you’re missing out. At only 150 calories, you can enjoy the festive cheer without overindulging. Cheers! 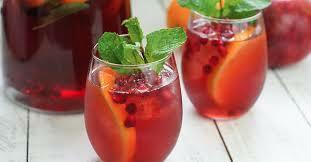 Mix together pomegranate liquor and apple cider. Float shiraz on top and garnish with orange slice, pomegranate seeds and fresh mint leaves. 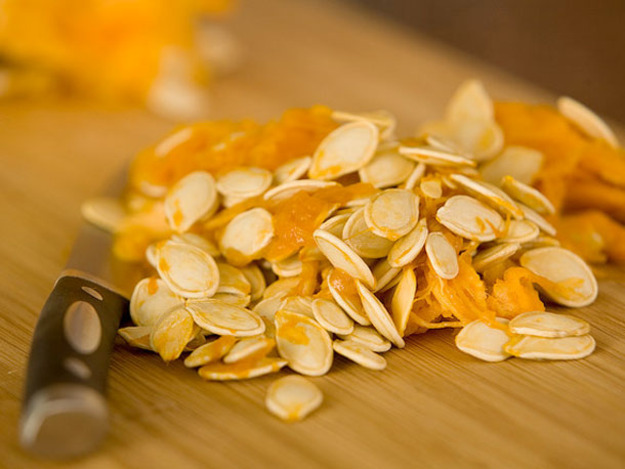 Scoop out the inside of your pumpkin, and separate seeds from pulp. Don’t worry if there’s a little pulp left on the seeds when you roast them—it only adds flavor. Just remove the biggest pieces so that the seeds are easy to toss. In a bowl, toss the seeds with the melted butter/olive oil, coating thoroughly. Add salt, sweetener and seasonings. Spread seeds in one even layer across a greased baking sheet (or you can use a cookie sheet covered in aluminum foil). Bake for 30 minutes, or until the seeds are golden brown. Stir the seeds every so often while they’re baking, so that they toast evenly. Who needs bread with these delectable little waist-friendly grab ‘n go “sandwiches”. There are endless combinations and taste possibilities – get creative! Can be made the day before and stored in the refrigerator making these the perfect quick ‘n easy protein-rich snack or meal. Assemble ingredients in the order listed above. 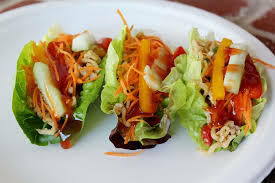 Either roll or fold lettuce leaf in half, store in container and refrigerate. This yummy little protein-rich grab ‘n go breakfast can be made days in advance and stored in the refrigerator. Talk about quick and easy! Oh and delish – VERY delish!! 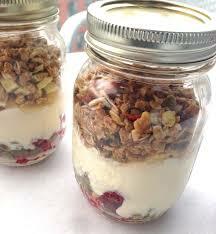 Combine all ingredients in mason jar and store in refrigerator overnight. Spice up your morning and rev up your metabolism right from the get go with this sassy little elixir. Can you say WOO HOO!!!!! Put all ingredients in Vitamix or blender and process until smooth. 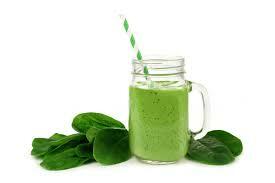 Store remaining juice in glass jar and refrigerate for up to 3 days. Makes approximately four 8oz. servings. 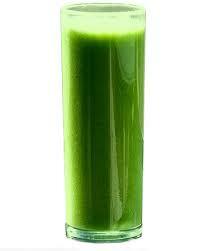 Start your day with a blast of greens and a surge of energy!!! Great for a quick afternoon pick-me-up as well! 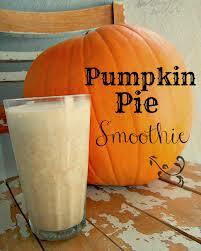 Put all ingredients in a high-powered blender and process until smooth. Can be refrigerated for 1-2 days. This water is both energizing and delicious! Infuse it and then reuse it for 2-3 days. Bottoms up! 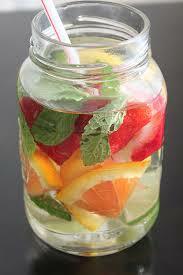 Put all ingredients in a glass jar or pitcher and fill with pure filtered water. 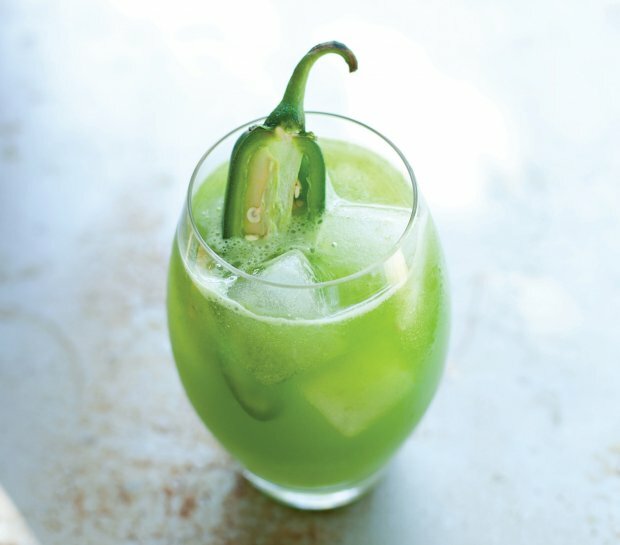 Infuse a few hours or overnight in the fridge.